Wii U is a fairly new next-gen console by Nintendo. Although it is not as powerful as the PS4 or Xbox One it still has its own little kick to it in terms of gameplay. If you are a die-hard Nintendo fan, you have probably already bought one and looking for a way to preserve your games on disc as long as you can. One of the ways to keep your Wii U discs safe is to have the backed up. Now, unfortunately, there is still no way you can backup and play your Wii U games on your Nintendo Wii U, but what you can do is play your Nintendo Wii backups on the Wii U! First off you will need to make sure that you can run the Nintendo Wii backups on your Wii U game console. You can do this by installing some simple software modifications for the Wii Mode. First off, you have to install the Homebrew Channel onto the Wii mode. The installation process is more or less the same as installing on a regular Nintendo Wii. 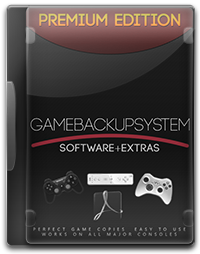 The whole process and the documentation can be found in the premium version eBook that GameBackupSystem comes with. Unfortunately, installing the Homebrew Channel and getting the appropriate modifications for your system will not make your system backup games on its own. What you will have to do is to start backing up your games with your PC or Mac. Any regular Nintendo Wii backup disc will work once you have the system set up and ready to go. In order to start backing up your games you will need a special DVD drive which is able to read the Nintendo Wii games, or you can simply get an external hard drive and backup the games on to the external hard drive by using your Wii U. All of the following are outlined in the GameBackupSystem eBook and the software itself will aid you if you want to make backups of your Nintendo Wii games on a physical disc rather than use an external hard drive for the backups.